Each expansion for The Sims 4 seems more ambitious than the last, and Get Famous is no exception. Offering your lowly civilian sims the chance to find fame, fortune and even own a Scrooge McDuck style bank vault for their wealth, it’s the closest the game has ever come to social satire. Oh, and it’s super fun being a diva actress who decorates their home with movie studio green screens. 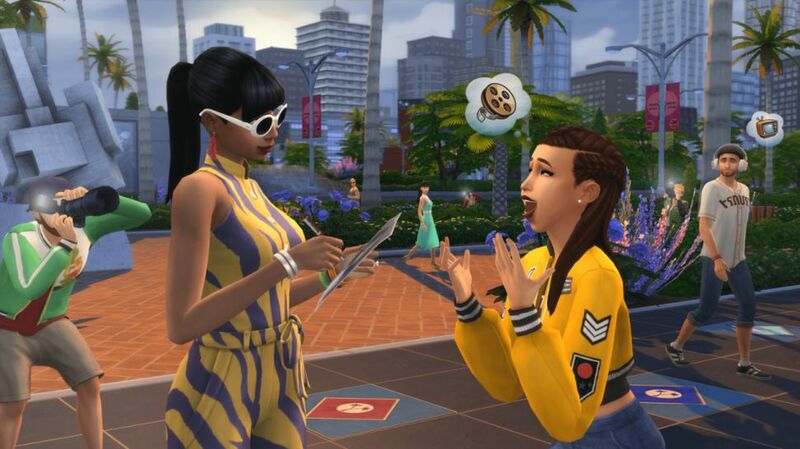 The big headline change is the introduction of a brand new mechanic – fame – that opens up for all your sims, even if they’re not looking to be the next Meryl Streep. It’s optional – you can turn it off for any sims you don’t want sullied with the pressures of 2018’s desperate need for personal recognition – or you can embrace it, making your sims record beauty review videos in their spare time, obsess over their social media feeds, or hog the microphone at the local bar. 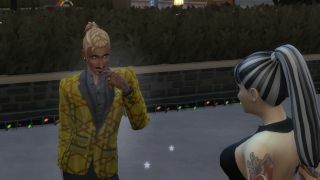 Mega famous sims will have to deal with paparazzi and fans, and literally glow with star power. Alongside fame is reputation, which adds an extra dimension. Fame is something you chase, reputation depends on your behavior and how other sims in the world perceive you. It’s a subtle addition, but adds a nice extra few meters of depth to the Sims universe. 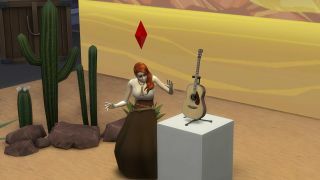 While your sims can get famous doing almost anything – streaming, gardening, having a lot of cats – the expansion comes with a fun new career that’s absolutely worth checking out. 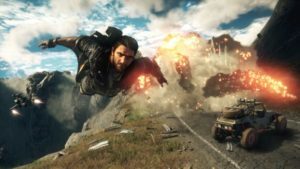 With the new acting path you’ll need to sign up with an agency, then your way up from commercials and children’s TV to post-apocalyptic blockbusters. You get to go with your sim to set, and the quality of your performance – and the resulting pay and fame – will depend on how many tasks you can get done before the end of the working days. Practicing your acting, getting into costume, gossiping with someone on set, and of course, performing. It’s not just a simple checklist either, you can even up the stakes by going for risky performances, or playing it safe. Yes, it can start to feel a bit repetitive heading to set as a mega star actor – you know like when your gold shoes really chaff? But you have the option to choose the acting career and then send them off to work out of sight too. Of course, fame doesn’t come without its pitfalls, as anyone who has watched any early 2000s MTV documentary shows will know. In Get Famous your celebrity sims can develop quirks, strange behaviors triggered by their new lifestyles. Unlike sim vampires, where you can choose your weaknesses, these are involuntary. 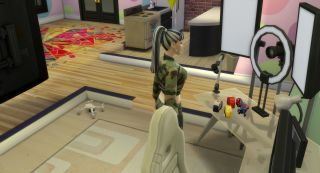 Even when she was just starring in soap commercials and streaming badly produced beauty vlogs, my sim Starlet Youtuber came down with the Vain Street quirk, probably a result of too much preening in mirrors to boost her Charisma Skills for auditions. It meant young Starlet Youtuber got very tense if she hadn’t looked in a mirror for a while, other quirks include becoming obsessed with juicing or hating being touched. So there’s a crazy amount of things to play with, but it’s a lot to juggle for even micro managers, especially if you have some of the other expansions too. It’s a real struggle when the game wants you to celebrate Christmas and the cat is sick but you have a huge audition to prepare for. Maybe EA will add a personal assistant in the next update? 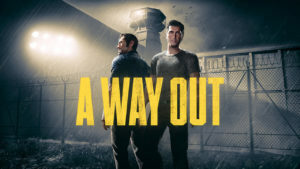 It’s definitely advanced simming, but the pay off with all the new toys to play with – green screens, movie sets, bank vaults, costumes – is worth it. Even as you’re stressing over your famous sims reputation after a brawl in the local nightclub, you have to be impressed with the way Get Famous changes up the game play. The Sims team have packed a huge amount of detail into the update, added a touch of glamour and whole new mechanic and to a classic game, and managed to add the tongue in cheek touches that keeps the Sims series so charming even when it’s recreating the most mundane moments of human life. Whether you’re a lapsed sim parent or new to making small people woohoo in bushes, this is one expansion that’s absolutely worth adding to your The Sims 4 experience. Bravo.